If you’re new to Korean skincare, there’s probably many questions that haunt you. You’re probably asking yourself, how many products do I have to use and in what order, and how do I know what ingredients are good for me? 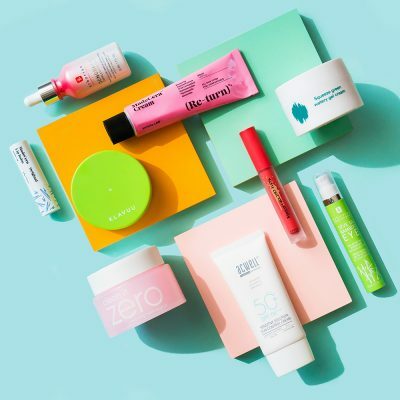 Lucky for you, we just launched the perfect Korean skin care discovery kit called The Klog Box that provides you with six of our favorite products to get you (regardless of your skin type) started on your K-beauty journey. 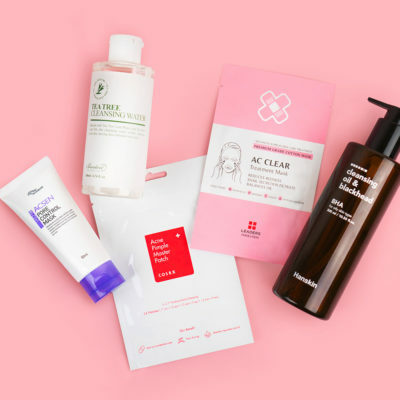 In the meantime, we thought we’d also lay out below the ultimate Korean skin care product guide for newbies to the ten step program. 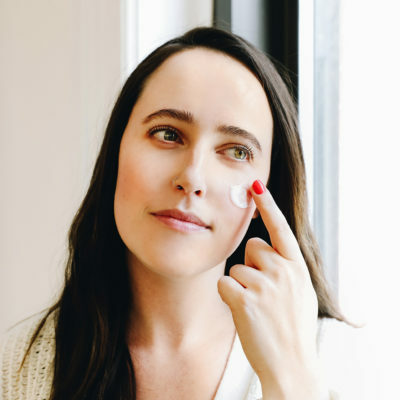 Once you become comfortable with the basic routine and you know what specific skin needs to address, you can start tailoring your routine to incorporate more “advanced” products. But for now, here is an easy routine, suitable for all skin types, to get you started. Don’t worry, it’s not hard at all. In Korean skincare, cleansing is just as important as moisturizing, if not more. The first product you need for double cleansing is an oil-based cleanser, either an oil or a balm. Both types work the same way. 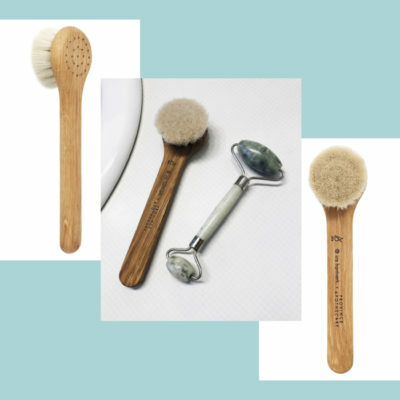 They draw out all the oil-based impurities, such as sebum, makeup, SPF, and pollutants that’s been collecting on your skin throughout the day. 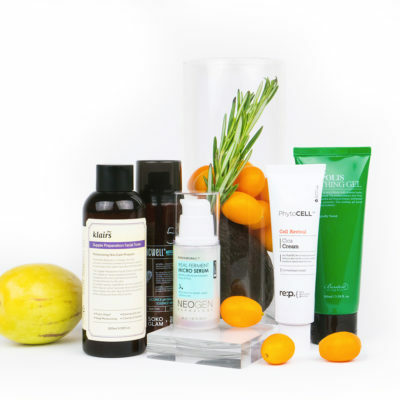 Even if your skin usually feels oily, an oil-based cleanser is a must. 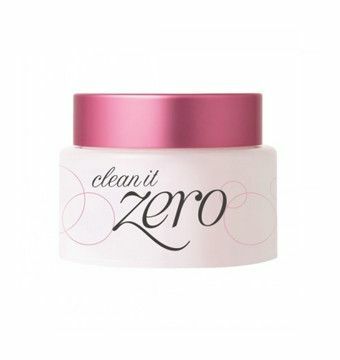 At this point, Banila Co Clean It Zero Classic is a living legend. It’s the perfect introductory product for double-cleansing—a concept that can seem a bit strange if you’re new to Korean skincare. This cleansing balm has a light, sherbert-like texture, and it’s great to use in the morning and night. Plus, it’s affordable. The second step in double-cleansing is a water-based cleanser that washes away water-based impurities like sweat and dirt. 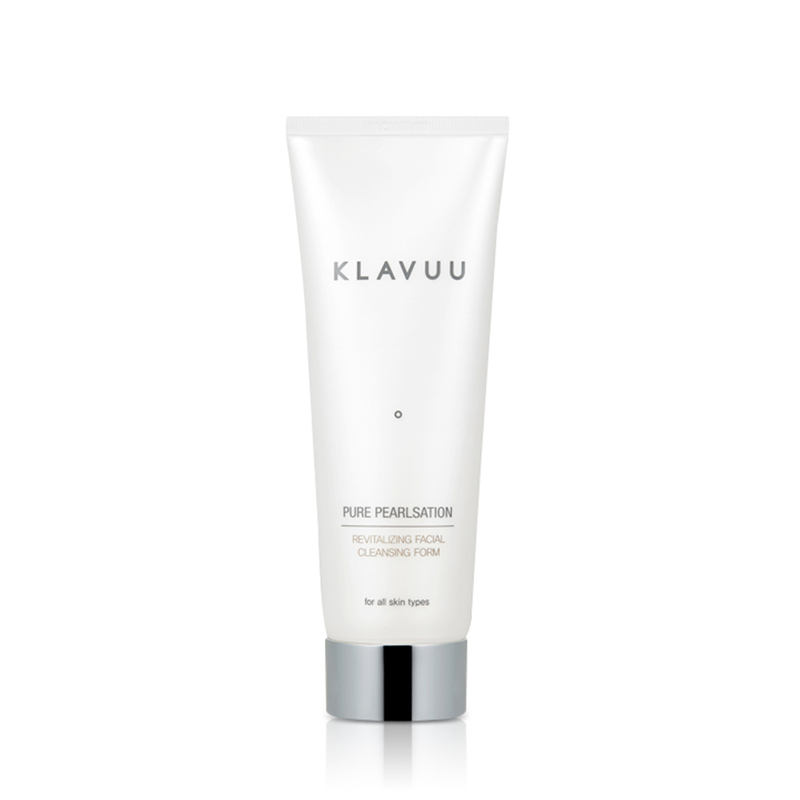 The Klavuu Pure Pearlisation Revitalizing Facial Cleansing Foam contains actual pearls, an ingredient known to brighten the skin. This cleanser doesn’t make your skin dry and tight afterwards, and it feels luxurious. And guess what? This cleanser is one of the products included in The Klog Box! For years, I didn’t think some watery substance could do anything for my skin, so I made the mistake of skipping toner. But I learned the hard way: Toner makes all the difference. Not only does it improve your skin’s texture by hydrating your skin and, in some cases, cleansing your skin and getting rid of dead skin cells, it also prepares your skin for the other products you’re about to put on. Toners are one of the most popular Korean skin care products. I actually first heard about the Klairs Supple Preparation Toner at a job interview. My interviewer had the most amazing skin, which is saying a lot, since I come from Korea. When I asked for her secret, she said she swears by this toner, and when I tested it, I knew she was right. Considering the fact that I only need a few drops to feel moisturized from within, and that the bottle is enormous, this toner lasts for months. I’ve heard people say different things about when to apply eye cream. The skin around the eyes is very thin and prone to dryness and wrinkles, which is why I personally like to apply it earlier in my routine, right after toner. The Innisfree Eco Science Eye Cream has the perfect gel-like consistency that is neither too thick nor too thin. One pump also gives me the perfect pea-sized amount, and since it’s in a pump bottle instead of a jar, my finger doesn’t come in direct contact with the product and contaminate it. Of course, there are jars that come with spatulas, but I always seem to lose those. This eye cream’s scent is also subtle and fresh, just like its packaging. Before you dive into the world of acids, vitamins, and other ingredients that target specific skin issues, it’s important to set the groundwork by properly hydrating your skin. For that reason, I recommend the CosRx Advanced Snail 96 Mucin Power Essence. Snail mucin repairs breakouts, relieves dry patches, and also fights hyperpigmentation. While this essence is highly effective, the price is just right, and the snail mucin gives it an interesting texture, which makes it a great introductory essence. If you’re feeling fancy or you’re in for an at-home spa night, try a sheet mask. When you’re starting out in Korean skincare, a fun sheet mask once or twice a week is enough to show you results without being too cumbersome. 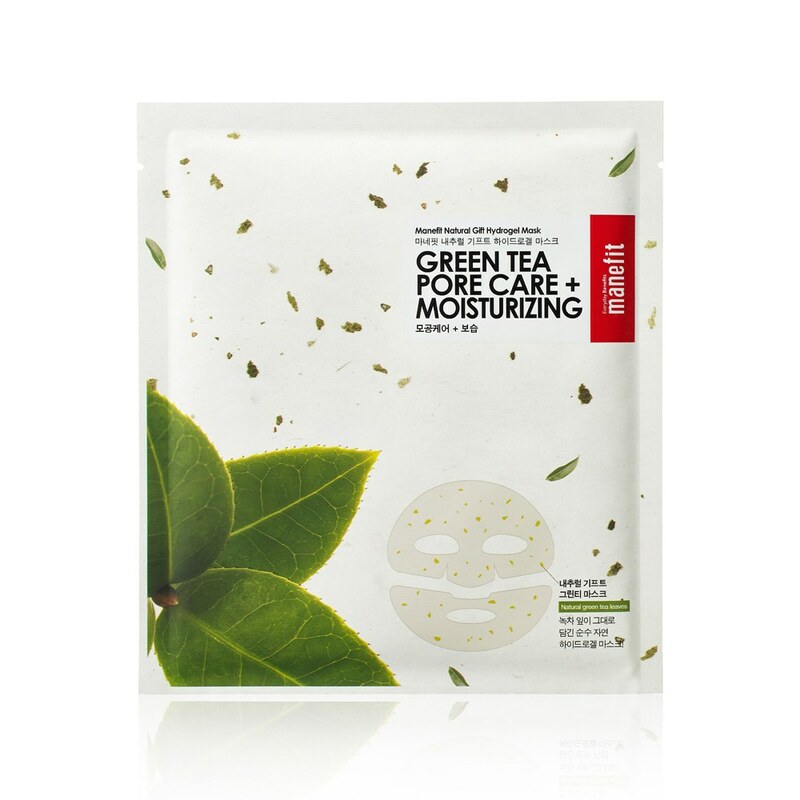 Manefit Natural Green Tea Pore Care Sheet Mask is a hydrogel mask—cool, slippery, and perfect to stick on your face while you do your nails or scroll through your IG feed, and it gives an entirely new experience from your regular, plain-white microfiber sheet mask (though I still reach for those from time to time). Bonus: Charlotte Cho created this mask with Neogen and it’s also in The Klog Box! Moisturizer can be tricky, since depending on where you live and your skin type, you need a different kind of moisturizer. A great, light moisturizer for all skin types is the CosRx Honey Ceramide Full Moisture Cream. It has minimal ingredients, which makes it suitable for sensitive skin, and honey extract and ceramide properly moisturize your skin. It’s a lightweight formula that absorbs right away. Again, if you find over time that your skin needs more moisture because it’s the middle of winter, you can layer more products or try a thicker moisturizer. But if you’re looking to try your first Korean moisturizer, this cream is perfect. Finally, if it’s daytime, there’s an extra needed step: SPF. Whether it’s sunny, cloudy, raining, or snowing, Korean women put on SPF every single day. One of the best Korean skin care products is the Neogen Day-Light Protection Sun Screen. It’s so lightweight, and it has zero white cast. It doesn’t sit on your skin or interfere with the makeup you put on top. But if you know your skin is very oily, I highly recommend the Missha All Around Safe Block Sebum Zero Sun. 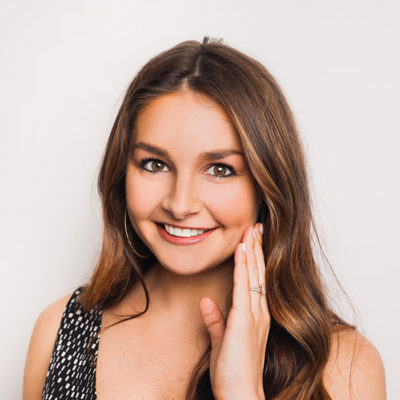 It’s powerful stuff, capable of keeping your face shine-free all day, without feeling heavy or toxic on your skin, and it’s one of the products in The Klog Box. For me, Korean skincare is about keeping a routine, experimenting with it and improving it over time. Once you have a routine, it’s easier to add new product categories. For instance, if you have flaky skin and fine lines, you might sneak in an acid-based exfoliant like the Neogen Lemon Peel Pads, which is the most refreshing daily exfoliant I’ve come across so far. Or if your skin feels tight, you might add a sleeping pack at the end of your night routine, like the E Nature Birch Juice Hydro Sleeping Pack (another product in The Klog Box!). There are so many new products to discover and ways to keep your skin healthy—it all begins with keeping a routine. And if you’re curious about how much product to use for each step—we’ve broken it down here. + How did you get introduced to Korean skin care? Share with us in the comments below!